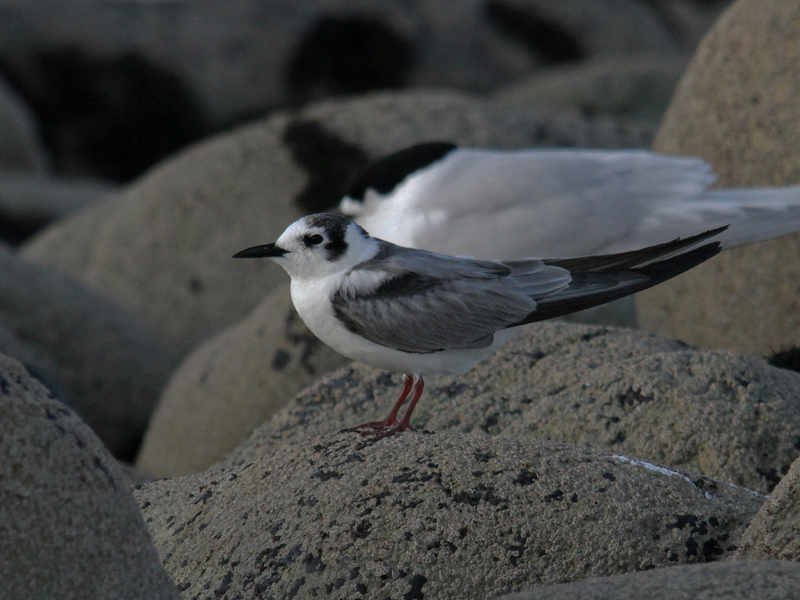 In breeding plumage this is a striking black-and-white tern unlike any other New Zealand tern. 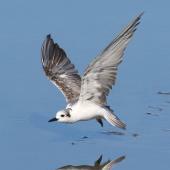 The white-winged black tern breeds from eastern Europe and Middle East to Manchuria, and birds migrate to equatorial and temperate parts of Africa, Asia and Australasia. 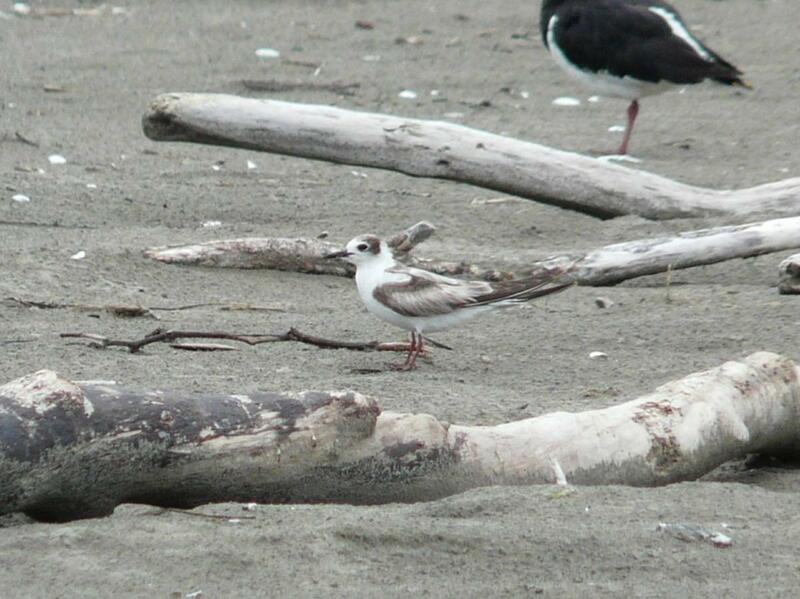 They have nested occasionally in New Zealand, the most recent record being in 2015. 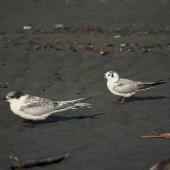 In New Zealand white-winged black terns are most often seen in the summer months when they are in pale non-breeding plumage. 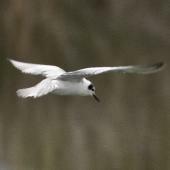 They favour coastal lagoons and estuaries where they feed mainly in flight, dipping down to the water to catch surface insects. 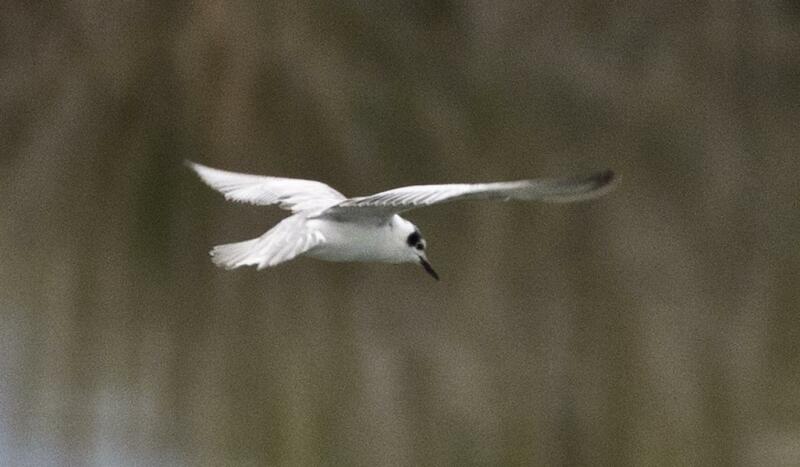 In some years a few birds are seen whose physiology and breeding cycles are geared to the southern hemisphere; these birds inhabit different sites, typically inland riverbeds and associated wetlands, often in the company of black-fronted terns. 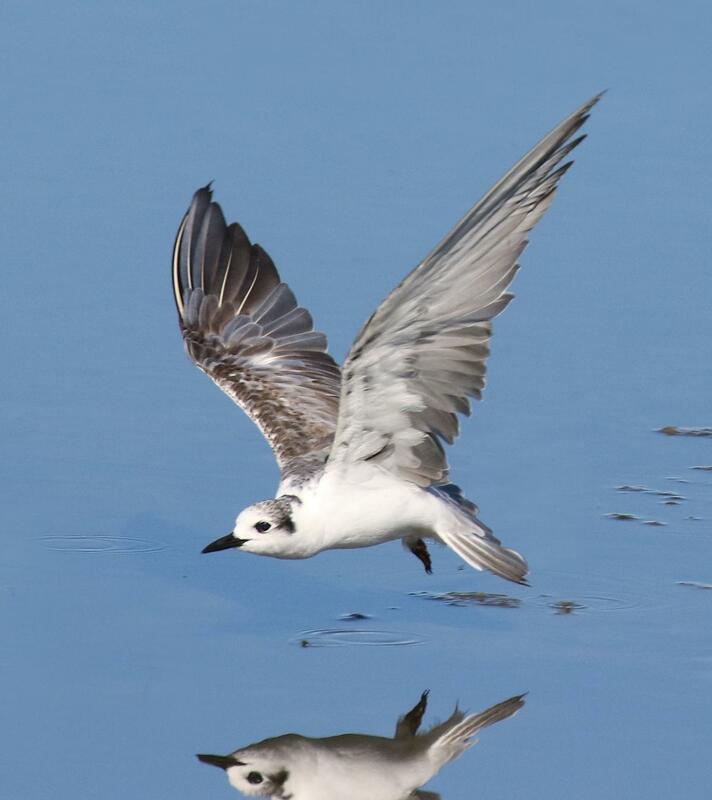 The white-winged black tern is a small tern, with unmistakable breeding plumage - black head and body and mainly white wings and tail, and reddish bill and legs. 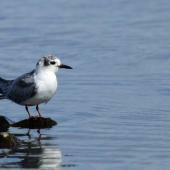 In non-breeding plumage, they are predominantly white and grey, including entirely white underparts and blackish bill and legs. 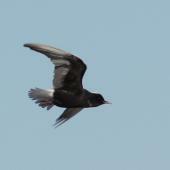 The only black feathers are on the head, typically a club-shaped area behind the eyes and linking with variable blackish markings on the hind crown and nape; the back and wings mainly grey. 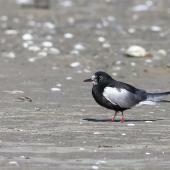 The carpal bar is greyish black and conspicuous at rest. 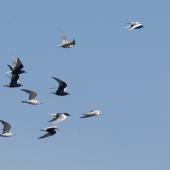 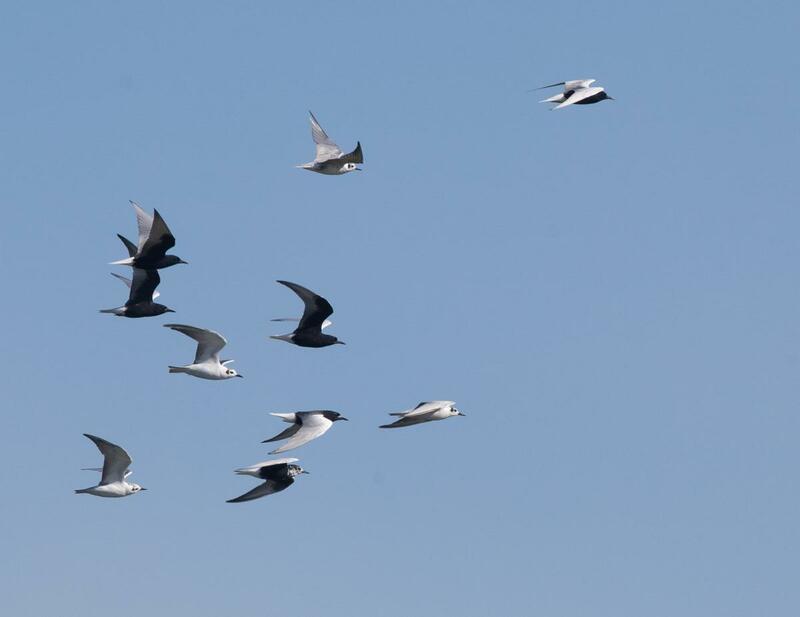 Compared with other New Zealand terns, white-winged terns have a very buoyant flight. 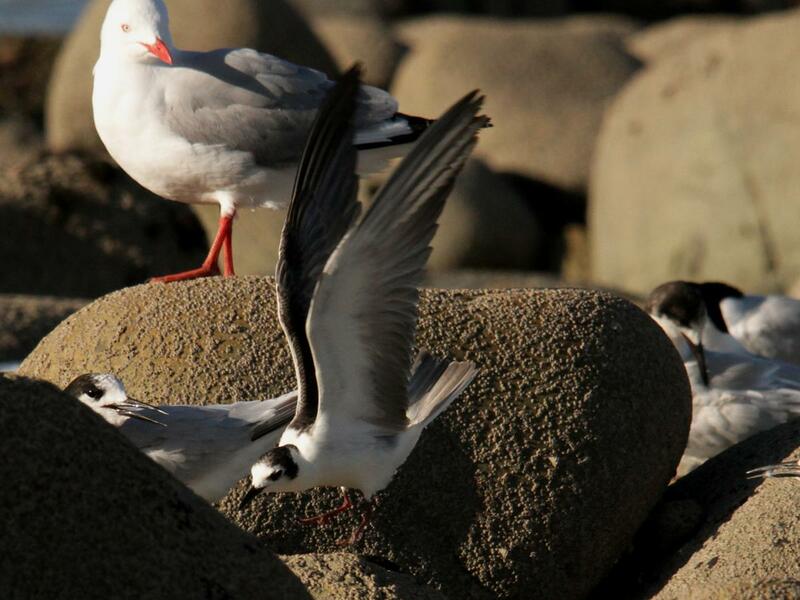 Voice: a rasping kreek-kreek call is given on New Zealand riverbeds and breeding grounds, also increasingly as birds moult into breeding plumage before migration. 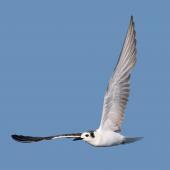 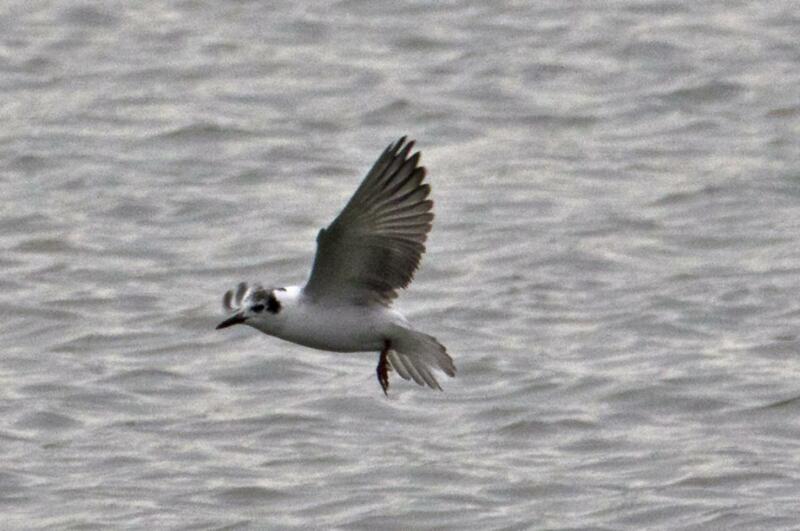 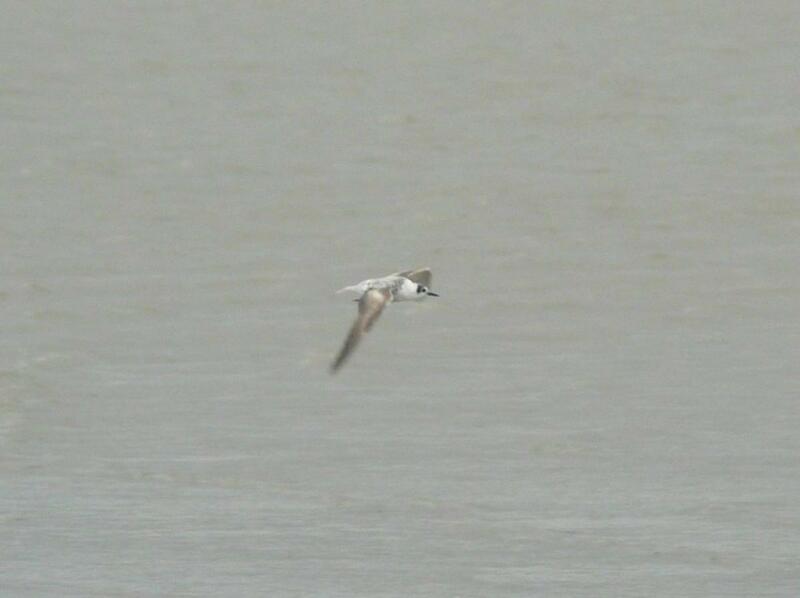 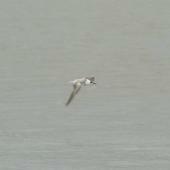 Similar species: non-breeding black-fronted and whiskered terns lack the club-shaped markings of the head. 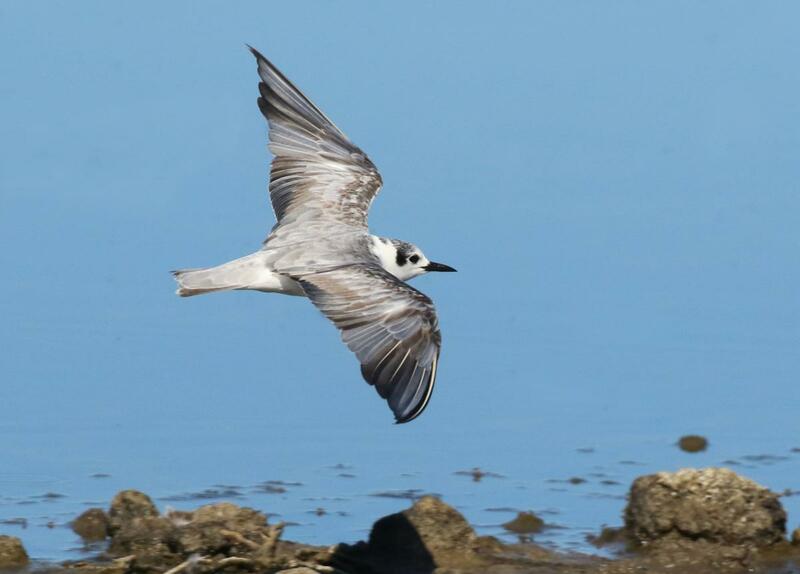 Non-breeding black tern (a vagrant to Australia, not recorded from New Zealand) is separable only after careful observation. 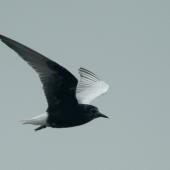 White-winged black terns breed from eastern Europe and Middle East to Manchuria, and winter south to South Africa, south-east Asia and Australasia. 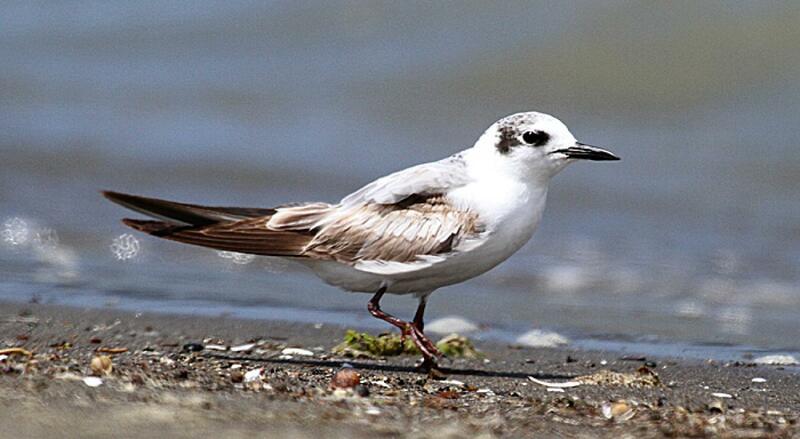 Migrants to New Zealand occur at many lagoons and estuaries from Northland to Southland, with largest groups recorded in Bay of Plenty, Hawke’s Bay, Marlborough and especially Canterbury. 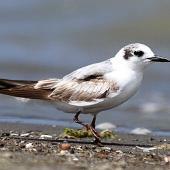 Birds in breeding plumage in the New Zealand summer (“southern cycle” birds) have been recorded on many riverbeds and associated wetlands from Southland to Marlborough, most often in Canterbury. 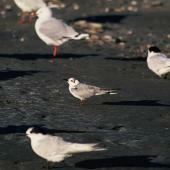 The four New Zealand breeding records have been from Canterbury and Marlborough. 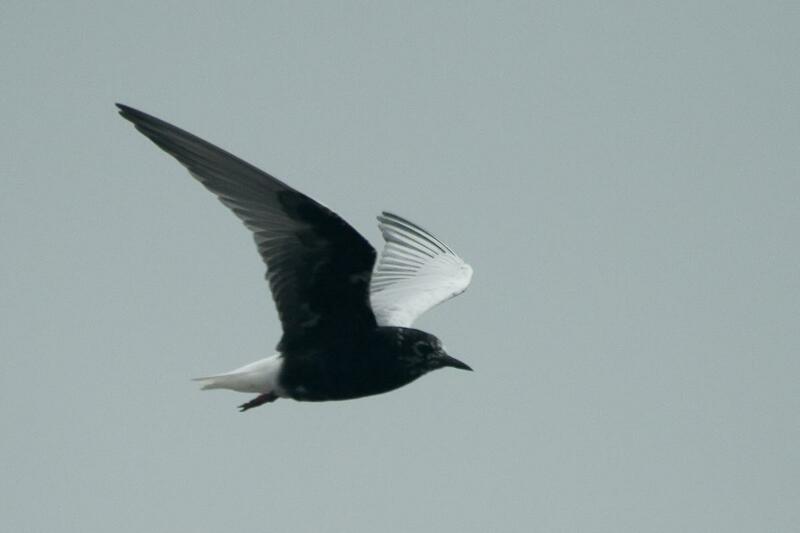 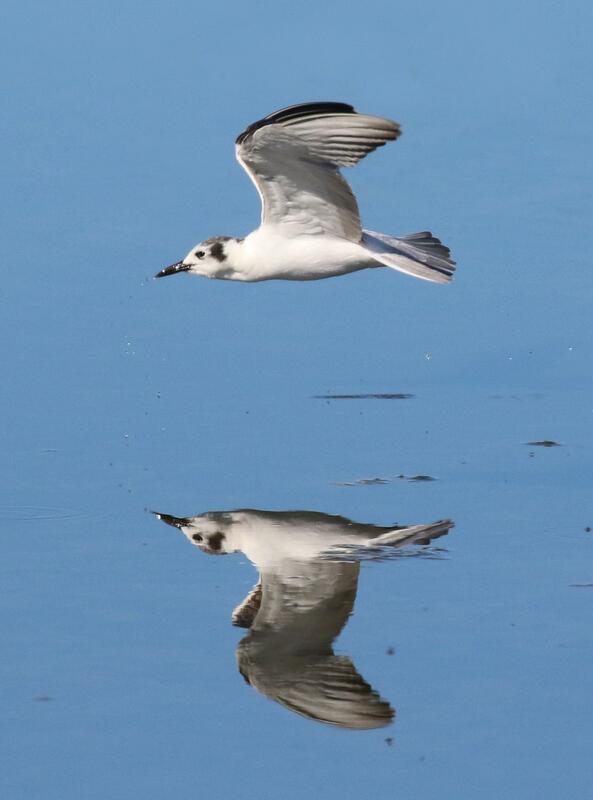 White-winged black terns are summer migrants to New Zealand, favouring shallow coastal lagoons and small estuaries and associated wetlands, less often large harbours. 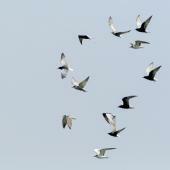 These preferred sites provide habitat for emerging insects e.g. 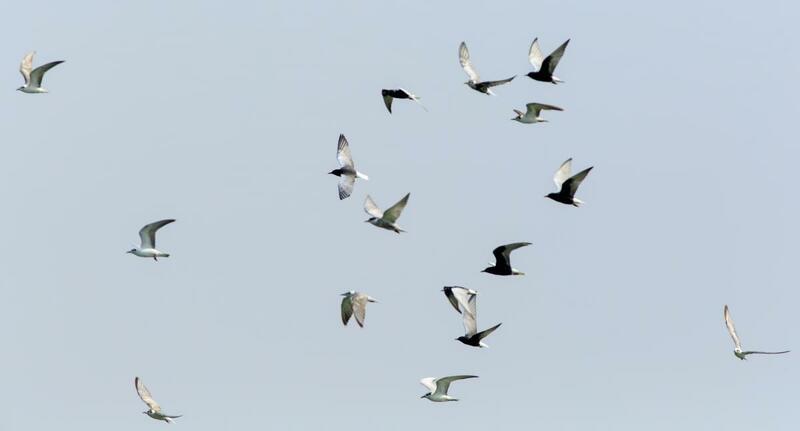 midges, craneflies and other flies, upon which the terns feed. 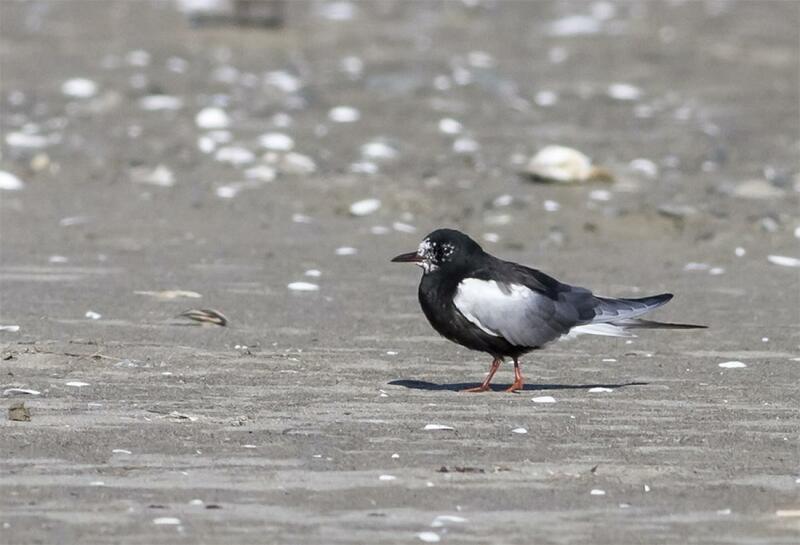 Breeding habitat in New Zealand is markedly different to that in the northern hemisphere, comprising braided riverbeds and their coastal lagoons, in the presence of black-fronted colonies (cf. 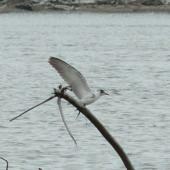 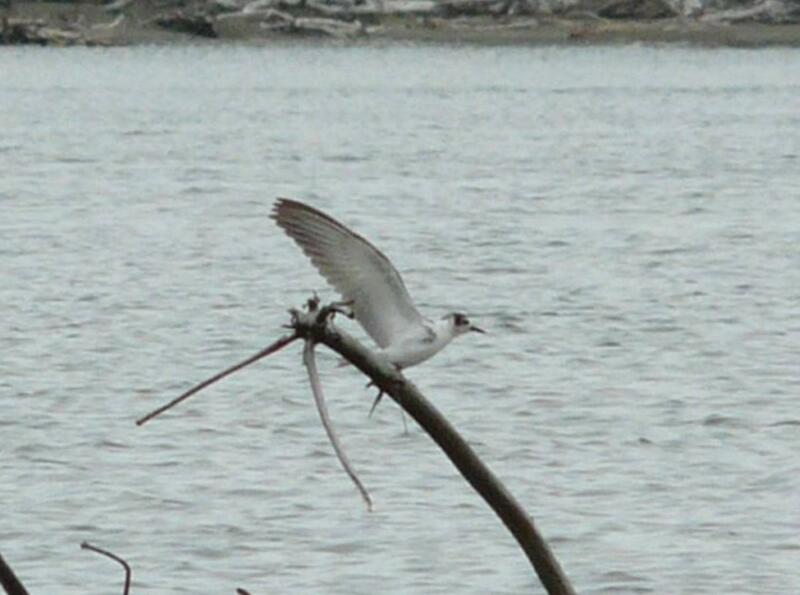 nesting on floating vegetation in swamps in Eurasia). 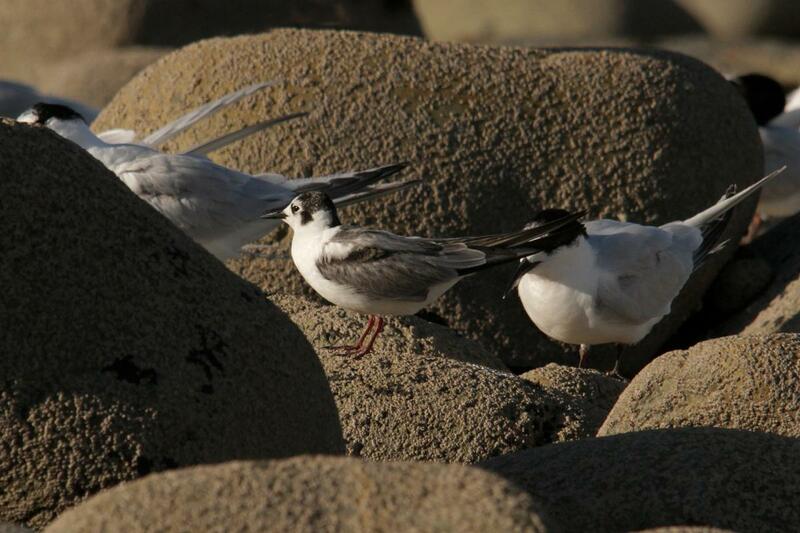 Riverbed habitat includes flood-prone main river channels and neighbouring stable sidestreams. 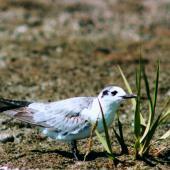 Many of these riverbeds also have nearby wetlands – ponds, swamps, ephemeral wetlands – which are used for foraging. 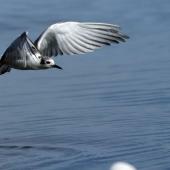 Probably fewer than 20 white-winged black terns visit New Zealand annually, mostly made up of migrants from the northern hemisphere, i.e. 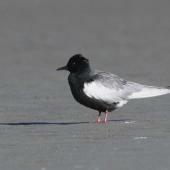 plumages follow the northern hemisphere cycle. 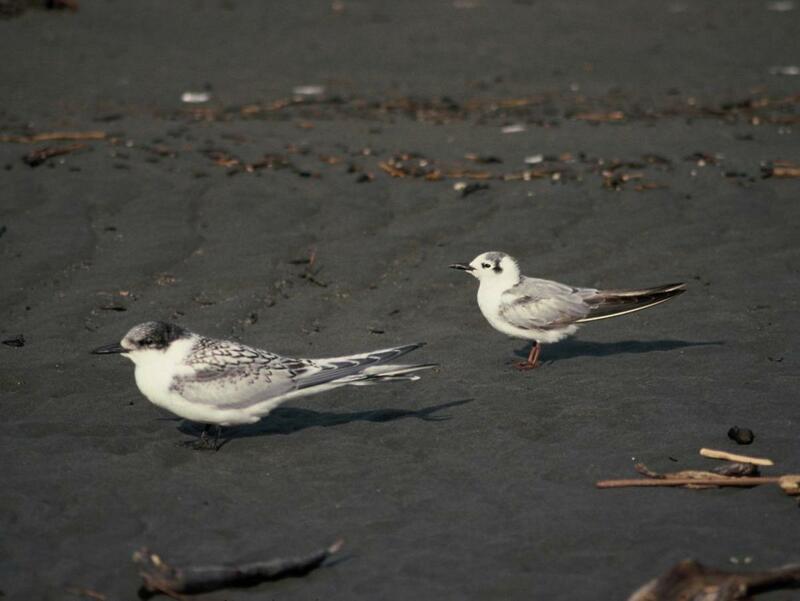 In some years no “southern cycle” birds are detected in New Zealand. 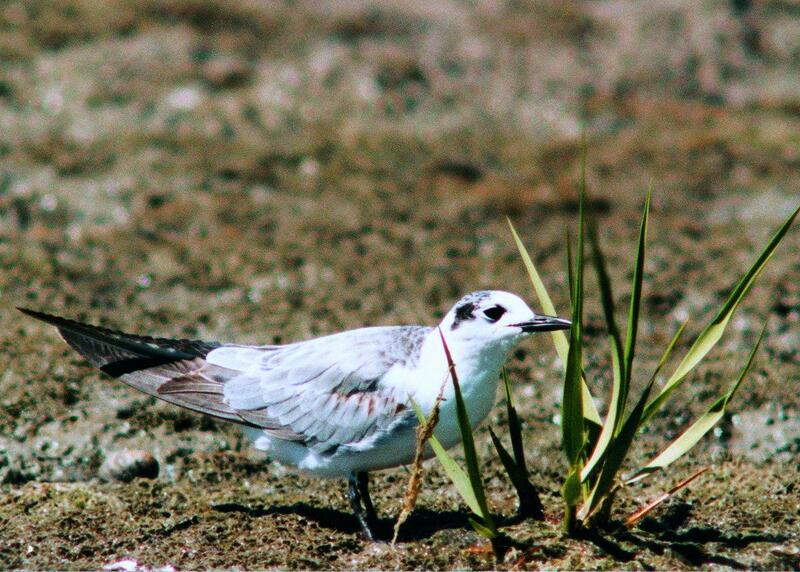 In the northern hemisphere, white-winged black terns breed colonially in marshes with nests on floating or shore vegetation. 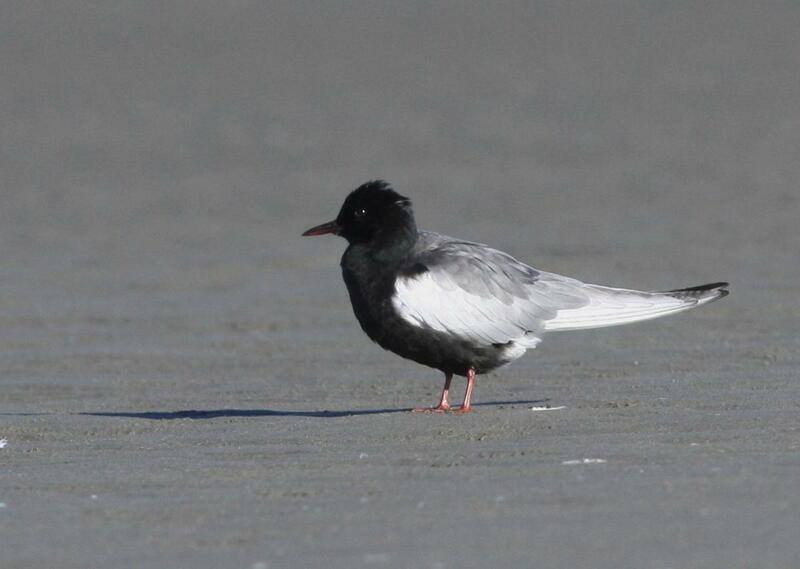 The four New Zealand breeding records are from the lower Rakaia River (1917, 3 chicks fledged), Opihi River, South Canterbury (December-February 1973-74), upper Acheron River, Marlborough (December 2012), and near Twizel (January 2015). In 1973-74, a solitary pair bred on the edge of a small black-fronted tern colony at a lagoon front at the mouth of a shingle riverbed. 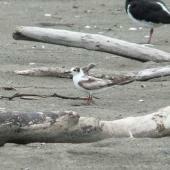 The first nest failed and a second nest produced a chick which appeared not to have fledged. 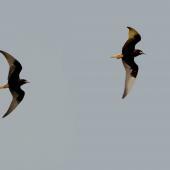 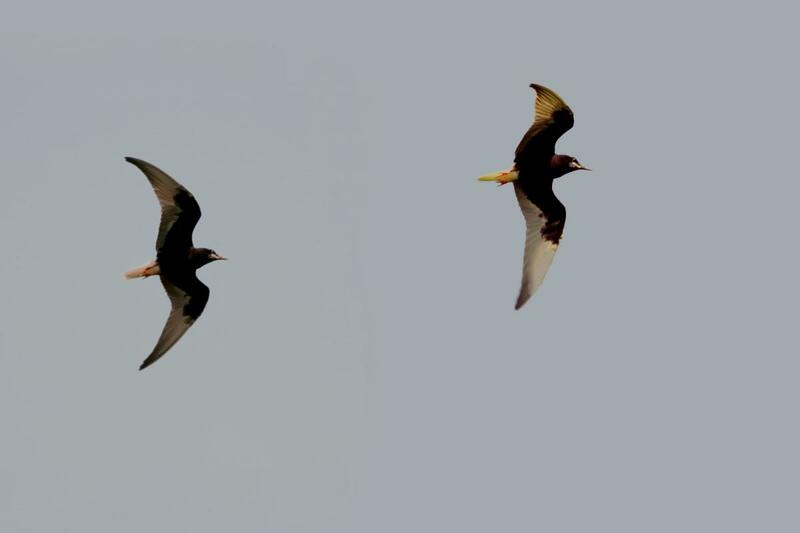 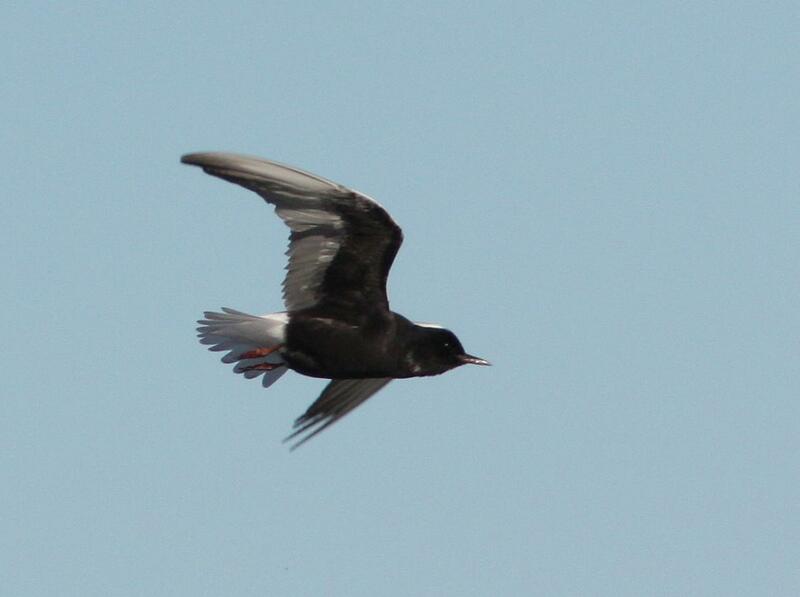 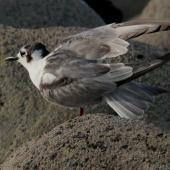 The 2012 and 2015 breeding records were also of single pairs associated with black-fronted tern colonies, with both nests failing due to predation. 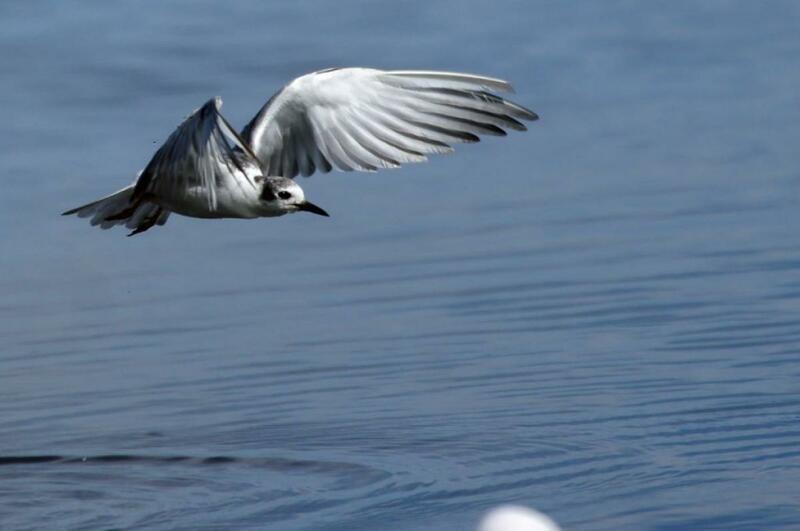 The white-winged black tern is a typical marsh tern, dependent on extensive shallow freshwater habitat that supports abundant aquatic insects. 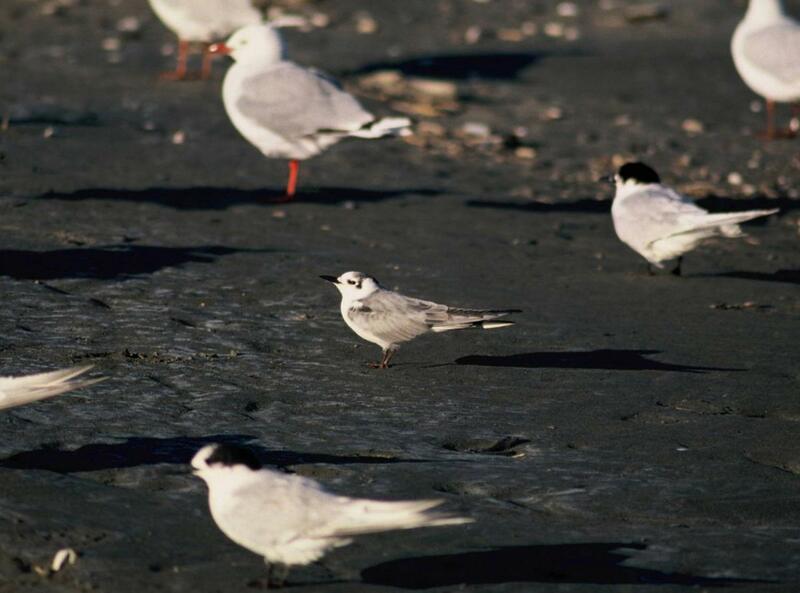 In New Zealand, this requirement reflects the separation of sightings into two habitat types – shallow coastal wetlands and inland braided riverbeds. 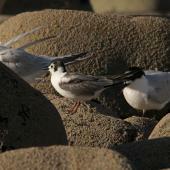 Other species of terns in New Zealand, particularly black-fronted tern, appear to provide social stimulation for breeding of this otherwise colonial species. 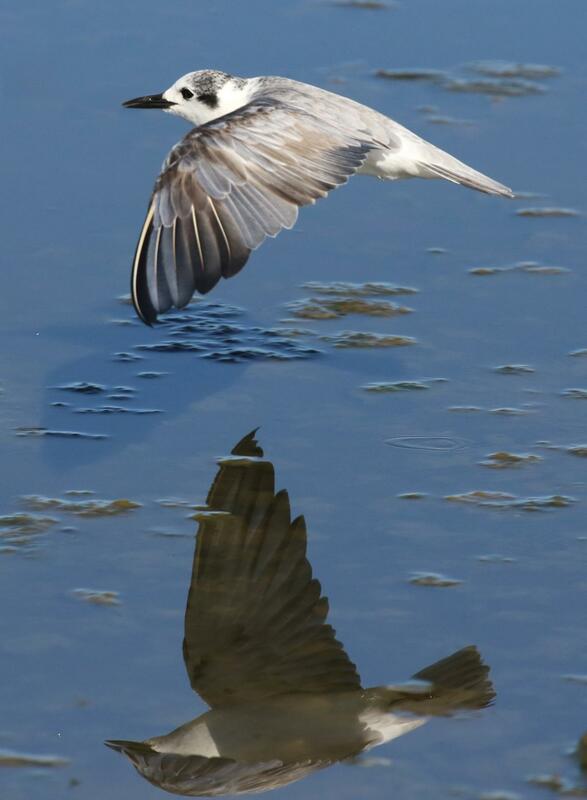 White-winged black terns are primarily insectivorous, specialising on aquatic insects captured by dipping, hawking or occasionally plunging; occasionally also terrestrial insects. 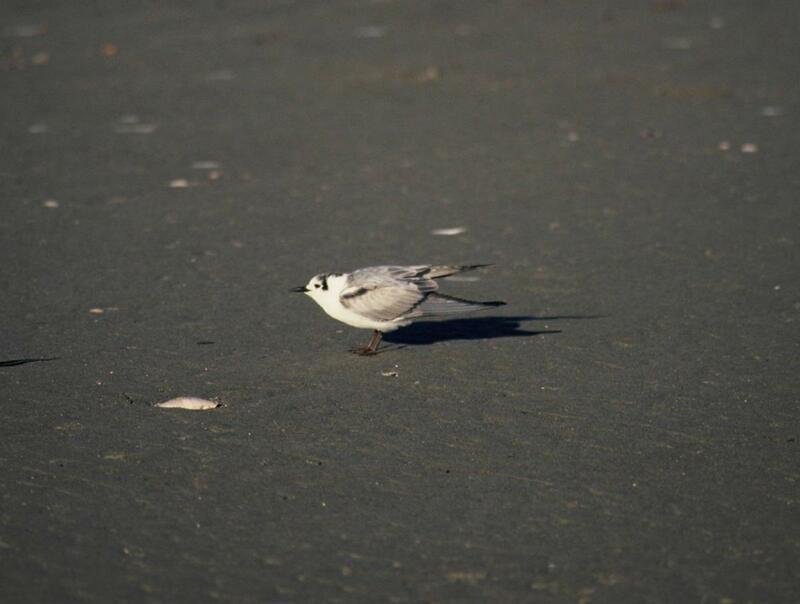 Pierce, R.J. 1974. 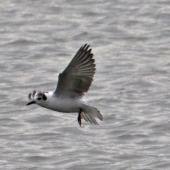 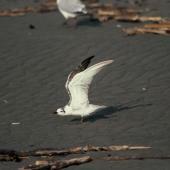 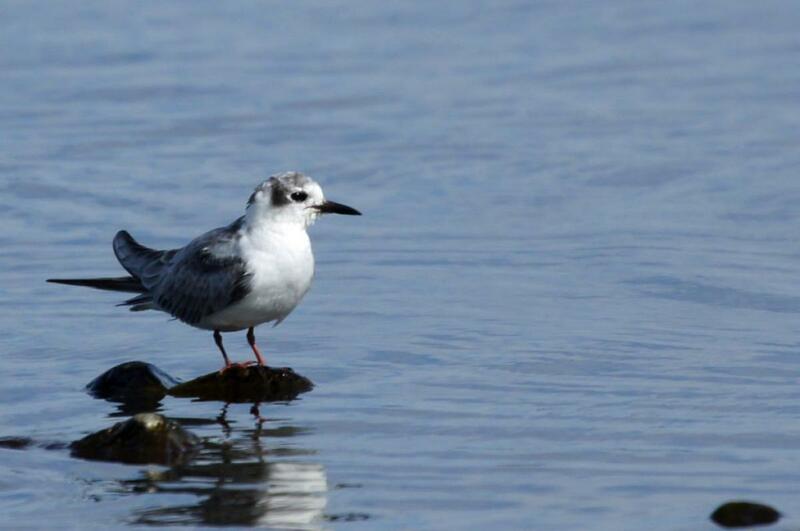 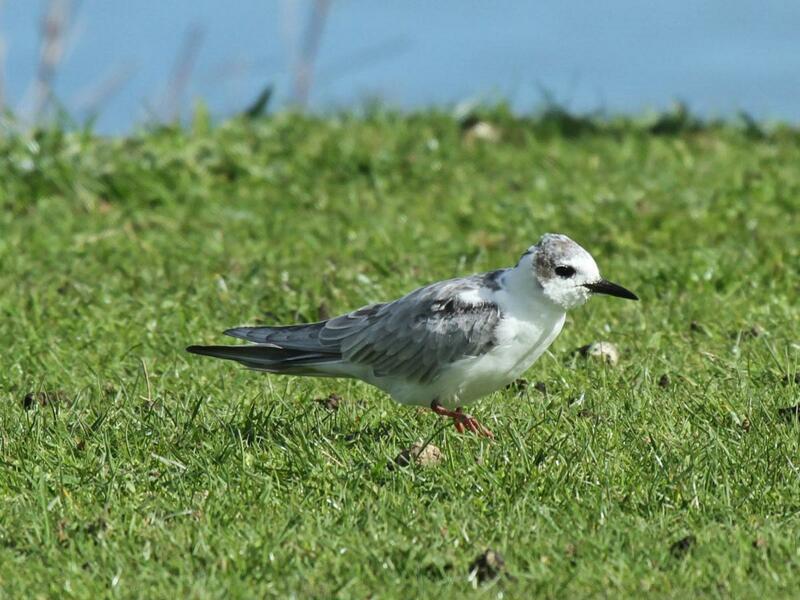 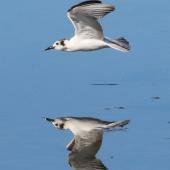 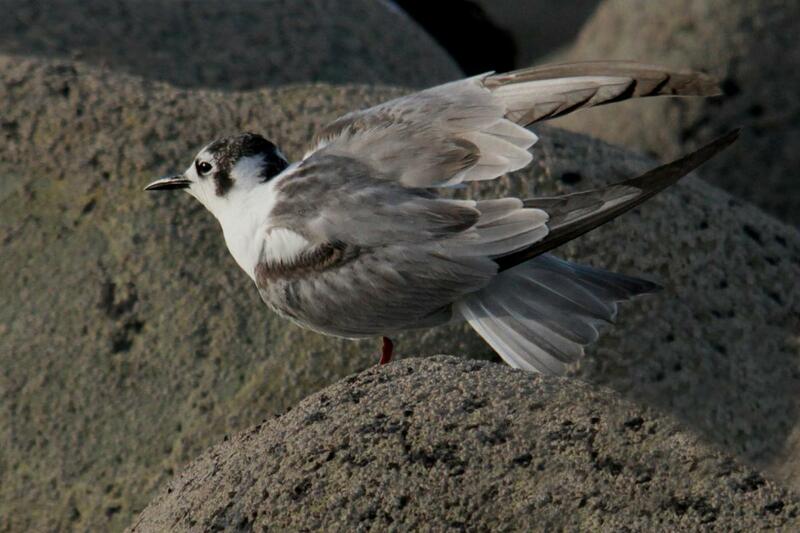 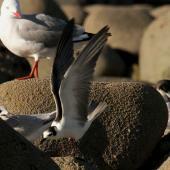 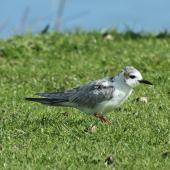 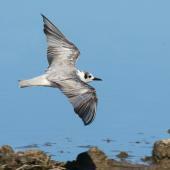 Presumed attempted breeding of the white-winged black tern in New Zealand. 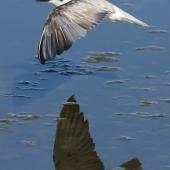 Notornis 21: 129-134. 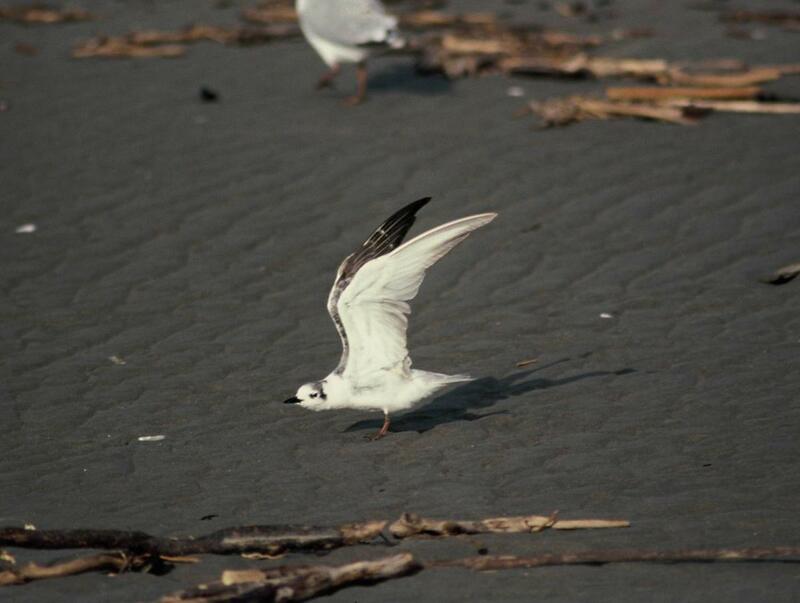 A small tern with a black head and body, mainly white wings and tail, and reddish bill and legs. 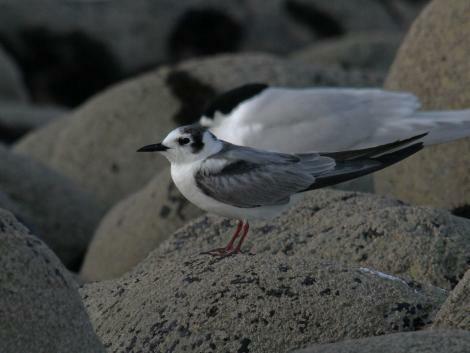 Non-breeding adults are white and grey with white underparts and blackish bill and legs, a club-shaped black area behind the eyes that connects with blackish markings on the hind crown and nape, mainly grey back and wings, and a greyish black carpal bar visible at rest.